If you were presented with doing your job or having your paycheck withheld, what would you do? Oh wait – that is how it works for private sector employment. Fortunately, legislators are also getting a taste of this arrangement. June 15 is the budget deadline for California lawmakers. They must produce a “balanced” budget by midnight Wednesday or risk getting their pay docked for every day the budget is late. This should be standard operating procedure since this is the primary function of a legislators’ job. At issue right now is whether or not Democrats can get the Republican votes needed to pass the budget. But, Republicans have been steadfast and continue to refuse to vote for $10 billion in annual tax extensions. But many inside of the Capitol are speculating that Democrats will go ahead anyway with a majority vote to pass a “balanced” budget filled with accounting tricks, maneuvers and shifts, and then let Brown duke it out with Republicans. 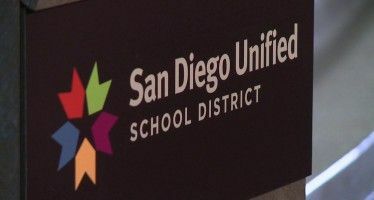 One suggested draft of this plan may reinstate $3 billion in school deferrals, and use First 5 funds to help close the nearly $10 billion deficit without extending temporary tax rates set to expire June 30. Four Republican Senators released a statement in response to Brown’s press conference yesterday with tough words about the budget plans. Senators Berryhill, Cannella, Emmerson, and Harman said, “Today the Governor provided an update on the status of the budget negotiations. In his statements, the Governor indicated that the Republicans involved in those discussions were not clear on the details of the reforms that are the foundation of any successful budget solution and, furthermore, are the primary obstacle to allowing the voters their say. “To the contrary, the Governor and Democrat leaders are fully aware of the proposals and have seen specific details of each reform. Moreover, there is significant agreement between Republicans and the Governor on the vast majority of those reforms. Steinberg has intimated that the Senate will move forward with a plan (tricks and maneuvers) that does not include Brown’s tax proposal, if Republican support for a tax bridge and tax extension election fails by the budget deadline. “I hope that over the next couple of days a couple of Republican members really think through the implications of their position for education and for public safety especially, but we will get our job done by June 15,” Steinberg said. Democrats continue to push taxes because of “education and public safety,” the two union groups mentioned at every press conference. It is clear that this budget will be passed, but will probably be another ridiculous patchwork of unrealistic tricks – just to get a paycheck. Most people would be fired for trying to pass off such shoddy work. Two new reports provide fresh heft to allegations that San Diego school board President Marne Foster has abused her power.